短序脆兰 Acampe papillosa (Lindl.) Lindl. 多花指甲兰 Aerides rosea Lodd. ex Lindl. 禾叶兰 Agrostophyllum callosum Rchb. f.
峨眉无柱兰 Amitostigma faberi (Rolfe) Schltr. 单花无柱兰 Amitostigma monanthum (Finet) Schltr. 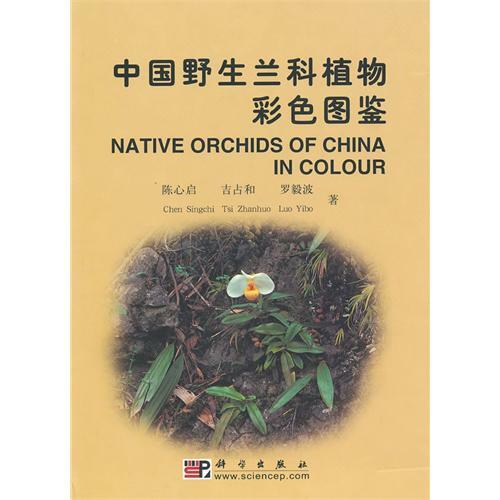 蝶花无柱兰 Amitostigma papilionaceum Tang et al. 滇蜀无柱兰 Amitostigma tetralobum (Finet) Schltr. 花叶开唇兰 Anoectochilus roxburghii (Wall.) Lindl. 筒瓣兰 Anthogonium gracile Wall. ex Lindl. 窄唇蜘蛛兰 Arachnis labrosa (Lindl. et Paxt.) Rchb. f.
竹叶兰 Arundina graminifolia (D. Don) Hochr. 鸟舌兰 Ascocentrum ampullaceum (Roxb.) Schltr. 小白及 Bletilla formos ana (Hayata) Schltr. 白及 Bletilla striata (Thunb. ex A. Murray) Rchb. f.
长叶苞叶兰 Brachycorythis henryi (Schltr.) Summerh. 芳香石豆兰 Bulbophyllum ambrosia (Hance) Schltr. 环唇石豆兰 Bulbophyllum corallinum Tixier et Guill. 密花石豆兰 Bulbophyllum odoratissimum (Smith) Lindl. 麦穗石豆兰 Bulbophyllum odoratissimum (Smith) Lindl. 斑唇卷瓣兰 Bulbophyllum pectenveneris (Gagnep.) Seidenf. 滇南石豆兰 Bulbophyllum psittacoglossum Rchb. f.
伏生石豆兰 Bulbophyllum reptans (Linld.) Lindl. 藓叶石豆兰 Bulbophyllum retusiusculum Rchb. f.
聚株石豆兰 Bulbophyllum sutepense (Rolfe ex Downie) Seidenf. 带叶卷瓣兰 Bulbophyllum taeniophyllum Par. et Rchb. f.
双叶卷瓣兰 Bulbophyllum wallichii Rchb. f.
流苏虾脊兰 Calanthe alpina Hook. f. ex Lindl. 葫芦茎虾脊兰 Calanthe labrosa (Rchb. f.)Rchb. f.
长距虾脊兰 Calanthe sylvatica (Thou.) Lindl. 叉枝牛角兰 Ceratostylis himalaica Hook. f.
卵叶贝母兰 Coelogyne occultata Hook. f.
疏茎贝母兰 Coelogyne suaveolens (Lindl.)Hook. f.
禾叶贝母兰 Coelogyne viscosa Rchb. f.
纹瓣兰 Cymbidium aloifolium (L.) Sw.
莎叶兰 Cymbidium cyperifolium Wall. ex Lindl. 冬凤兰 Cymbidium dayanum Rchb. f.
建兰 Cymbidium ensifolium (L.) Sw.
春兰 Cymbidium goeringii (Rchb. f.) Rchb. f.
虎头兰 Cymbidium hookerianum Rchb. f.
碧玉兰 lowianum (Rchb. f.) Rchb. f.
大雪兰 Cymbidium mastersii Griff. ex Lindl. 墨兰 Cymbidium sinense (Jackson ex Andr.) Willd. 斑舌兰 Cymbidium tigrinum Par. ex Hook. 对叶杓兰 Cymbidium debile Rchb. f.
雅致杓兰 Cymbidium elegans Rchb. f.
黄花杓兰 Cymbidium flavum P. F. Hunt et Summerh. 东北杓兰 Cypripedium × ventricosum Sw.
钩状石斛 Dendrobium aduncum Wall. ex Lindl. 兜唇石斛 Dendrobium aphyllum (Roxb.) C. E. C. Fisch. 长苏石斛 Dendrobium brymerianum Rchb. f.
短棒石斛 Dendrobium capillipes Rchb. f.
翅萼石斛 Dendrobium cariniferum Rchb. f.
喉红石斛 Dendrobium christyanum Rchb. f.
束花石斛 Dendrobium chrysanthum Wall. ex Lindl. 晶帽石斛 Dendrobium crystallinum Rchb. f.
棒节石斛 Dendrobium findlayanum Par. et Rchb. f.
杯鞘石斛 Dendrobium gratiosissimum Rchb. f.
苏瓣石斛 Dendrobium harveyanum Rchb. f.
尖刀唇石斛 Dendrobium heterocarpum Wall. ex Lindl. 小黄花石斛 Dendrobium jenkinsii Wall. ex Lindl. 长距石斛 Dendrobium longicornu Wall. ex Lindl. 细茎石斛 Dendrobium moniliforme (L.) Sw.
竹枝石斛 Dendrobium salaccense (Bl.) Lindl. 球花石斛 Dendrobium thyrsiflorum Rchb. f.
翅梗石斛 Dendrobium trigonopus Rchb. f.
黑毛石斛 Dendrobium williamsonii Day et Rchb. f.
宽叶厚唇兰 Epigeneium amplum (Lindl.) Summerh. 小花火烧兰 Epipactis helleborine (L.) Crantz. 粗茎毛兰 Eria amica Rchb. f.
匍茎毛兰 Eria clausa King et Pantl. 半柱毛兰 Eria corneri Rchb. f.
足茎毛兰 Eria coronaria (Lindl.) Rchb. f.
瓜子毛兰 Eria dasyphylla Par. et Rchb. f.
香花毛兰 Eria javanica (Sw.) Bl. 小毛兰 Eria sinica (Lindl.) Lindl. 密花毛兰 Eria spicata (D. Don) Hand.?Mazz. 黄绒毛兰 Eria tomentosa (Koen.) Hook. f.
钳喙兰 Erythrodes blumei (Lindl.) Schltr. 口盖花蜘蛛兰 Esmeralda bella Rchb. f.
毛萼山珊瑚 Galeola lindleyana (Hook. f. et Thoms.) Rchb. f.
小斑叶兰Goodyera repens (L.) R. Br. 凸孔坡参Habenaria acuifera Wall. ex Lindl. 粉叶玉凤花Habenaria glaucifolia Bur. et Franch. 扇脉舌喙兰Hemipilia flabellata Bur. et Franch. 角盘兰Herminium nonorchis (L.) R. Br. 湿唇兰Hygrochilus parishii (Rchb. f.) Pfitz. 尖囊兰Kingidium braceanum (Hook. f.) Seidenf. 叉唇钗子股Luisia teres (Thunb. ex A. Murray) Bl. 新型兰Neogyna gardneriana (Lindl.) Rchb. f.
条裂鸢尾兰Oberonia jenkinsiana Griff. ex Lindl. 囊唇山兰Oreorchis indica (Lindl.) Hook. f.
波瓣兜兰Paphiopedilum insigne (Wall. ex Lindl.) Pfitz. 阔蕊兰Peristylus goodyeroides (D. Don) Lindl. 紫花鹤顶兰Phaius mishmensis (Lindl. et Paxt.) Rchb. f.
鹤顶兰Phaius tankervilleae (Banks ex L?Herit.) Bl. 二叶舌唇兰Pholidota chlorantha Cust. ex Rchb. 舌唇兰Pholidota japonica (Thunb. ex A. Murray) Lindl. 筒距舌唇兰Pholidota tipuloides (L. f.) Lindl. 鹿角兰Pteroceras leopardinum (Par. et Rchb. f.) Seidenf. et Smitin. 大喙兰Sarcoglyphis smithianus (A. F. G. Kerr) Seidenf. 小掌唇兰Staurochilus loratus (Rolfe ex Downie) Seidenf. 狭叶带唇兰Tainia angustifolia (Lindl.) Benth. et Hook. f.
笋兰Thunia alba (Lindl.) Rchb. f.
大花万代兰Vanda coerulea Griff. ex Lindl. 宽叶线柱兰Zeuxine affinis (Lindl.) Benth. ex Hook. f.